There probably isn't a person out there who hasn't found his or herself in a spot where dropping "It's a trap!" couldn't elicit a smile. That distinct, gruff Star Wars voice was that of Erik Bauersfeld, and he has passed away at the age of 93. 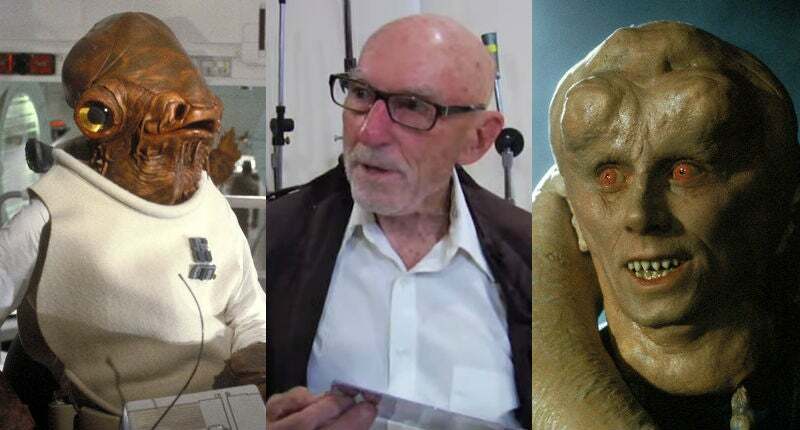 Bauersfeld not only voiced Admiral Ackbar in Return of the Jedi, he reprised the voice in The Force Awakens and also provided the voice of Bib Fortuna, Jabba the Hutt's easily influenced, and incredibly quotable, assistant. Fortuna has another distinct and memorable Star Wars voice, which makes Bauersfeld an absolutely crucial part of making that massive franchise the success it is. Here's a 2012 interview with the actor from the San Francisco Chronicle.